Malcolm Turnbull did him in, on the night of the long knives. However, despite being relegated to the backbench, former PM, Tony Abbott will not be suppressed and he will not be silenced. At a time when the chatter at Australian barbecues is dominated by talk about rocketing power prices and the mass blackouts that plague ‘Australia’s wind power capital’, South Australia, it isn’t difficult to find critics of Australia’s disastrous energy policy. However, this particular critic started out with a set against subsidised wind power, which has only intensified over time. Adding yet more uncertainty for investors and the greatest Ponzi scheme of all time, Tony Abbott is demanding an end to any further subsidies for wind power, effective immediately. Tony Abbott has issued an incendiary challenge to Malcolm Turnbull, calling on the Prime Minister to dump the mandatory renewable energy target or risk signing the “death knell” for heavy industry as business and consumer power prices escalate. Writing in The Weekend Australian today, the former prime minister has issued his most provocative challenge yet to the man who deposed him, citing what he claims are significant failures under Mr Turnbull’s administration as well as challenges he believes must be addressed. Mr Abbott claims that the Prime Minister has put the brakes on the national economy by abandoning the tax reform process started under his government. In remarks that are likely to reignite latent tensions inside the Coalition partyroom and invite accusations of deliberate destabilisation, Mr Abbott writes that the government is in a worse position to pursue essential economic reform than it was 18 months ago when he was replaced as leader but that the imperative has never been greater. He also argues that the government has an even greater obligation now to demonstrate spending restraint in this year’s budget, with a “ferocious clamp” on all new spending that doesn’t offer a growth dividend. 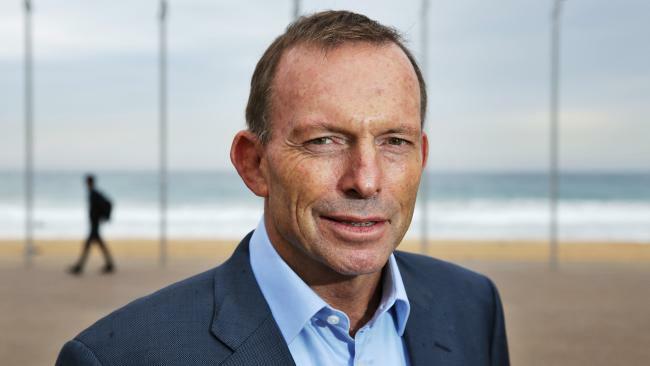 In advocating a radical ­response to the escalating energy supply and pricing dispute, Mr ­Abbott says that at least the government will come down on the side of consumers. And legislation to freeze the mandatory RET while dumping the goal to double renewable ­energy sources by 2020 should be the first order of business for the government. 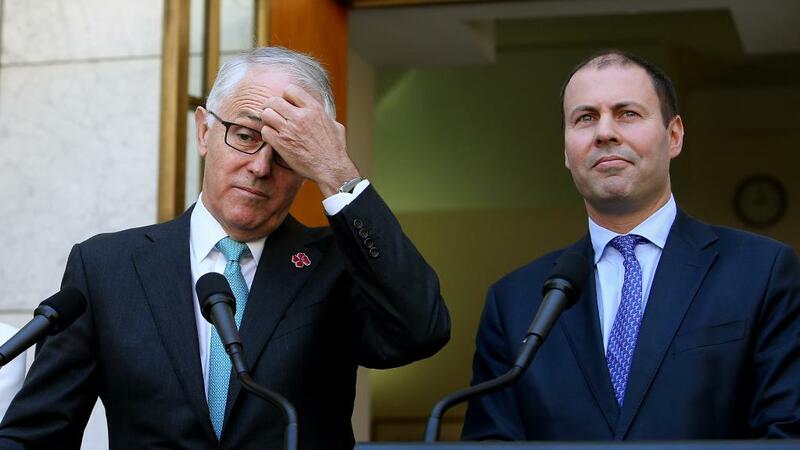 “It’s good that Energy Minister Josh Frydenberg has told the states to stop restricting the supply of gas, thereby hitting households and businesses with higher power bills,” he writes. “But the commonwealth has to get its own house in order as well as telling the states to do so. “Despite the reduction that my government secured to the renewable energy target, Australia is still supposed almost to double renewable energy supplies over the next four years. If it goes ahead, it will be the death knell for the heavy ­industries of Whyalla and Port Pirie in South Australia and will ­almost certainly destroy the aluminium industry everywhere. Critics of Mr Abbott will argue that it is hypocritical of him to argue for the scrapping of the RET considering he agreed in 2014 to keep a reduced 20 per cent target following a review of the system. Central to the Abbott argument is what he suggests was a lost opportunity in dumping the tax reform and federation white papers he commissioned in government. He implies this has left the government flat-footed with no policy response to the potential for global economic challenges posed by US president-elect Donald Trump. Scott Morrison’s ­enterprise tax plan — opposed by Labor — is designed to reduce the company tax rate to 25 per cent, in line with the OECD average. Mr Abbott argues that if the US and Britain succeed in lowering their rates to 15 per cent, as proposed, Australia will still be at risk of capital flight. Here’s the full op-ed piece from a man clearly keen to avoid further disaster and to undo the damage done. In just a few days Donald Trump will become president of the United States and leader of the free world. It’s high time for people everywhere to stop lamenting his rise and to start responding to it. If he does what he has said he would, and we have to assume he’ll try, economic policy here in Australia will need to respond fast. It will be a good opportunity for the government not just to talk about agility but actually to be agile. Trump has made three big economic commitments: to cut the corporate tax rate to 15 per cent; to spend big on infrastructure; and to get a better deal for American workers on trade with China. Let’s take the optimistic scenario first: he does cut tax and the US economy picks up steam; he starts rebuilding America’s decaying infrastructure, and — because growth is picking up — investors are happy to keep buying US government bonds and companies to repatriate profits; and he secures a revaluation of China’s currency, which helps US exporters as well as Chinese consumers. In the longer term, this will be good for the world — including Australia — but, in the short term, capital will relocate to the US so Australia will have more difficulty securing the investment we need. Now, the pessimistic scenario: as company tax revenue goes down and spending goes up, the US deficit becomes harder to finance; and as trade barriers go up and trade volumes come down, the world is plunged into a deep recession. Only 13 per cent of America’s gross domestic product is derived from exports and half of that is with Canada and Mexico. About 20 per cent of Australia’s GDP goes in exports and most of that is with North Asia. A world recession would hurt the US but would be worse for us. Good times make economic reform easier, bad times make it imperative. Whether Trump turns out to be good or bad for the world, our economic reform challenge is becoming more acute. If Trump’s tax cuts work, we will need to cut tax to stay competitive; if his tax cuts fail, we will need to reform fast or suffer a swift loss of confidence in a highly exposed economy. As always, our challenge is to maximise economic growth. That means getting taxes down and regulation down so that we can get productivity and profitability up. But getting taxes down responsibly means a ferocious clamp on all new spending other than that with a clear growth (or necessary national security) dividend. It’s a pity that Malcolm Turnbull abandoned the tax reform and federation reform white papers that had been well under way under my government. This process was the best hope of securing a shift from taxing production to taxing consumption and for making government more efficient. As well, the government’s commitment to repeal days and to deregulation more generally seems to have waned. Although the government is in a worse position than it was 18 months ago to embark on a new round of major economic reform, there’s still no time like the present to do so. The first rule of government should be to do no harm. 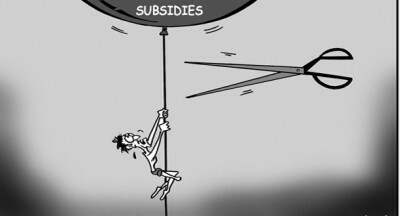 Right now, the government must avoid all policy-induced hits on people’s cost of living and all policy-induced hits on the cost of doing business. It’s good that Energy Minister Josh Frydenberg has told the states to stop restricting the supply of gas, thereby hitting households and businesses with higher power bills. But the commonwealth has to get its own house in order as well as telling the states to do so. So the government’s first move this year should be to introduce legislation to protect existing renewable generation but to remove all further mandatory use requirements. Renewable power is great, but only if it’s economic. Mandatory targets mean the compulsory use of renewables whether they’re economic or not. They mean that we pay more, sometimes much more, for our power. Despite the reduction that my government secured to the renewable energy target, Australia is still supposed almost to double renewable energy supplies in the next four years. This will increase pow­er costs substantially and further reduce reliability. If it goes ahead, it will be the death knell for the heavy industries of Whyalla and Port Pirie in South Australia and almost certainly will destroy the aluminium industry everywhere. In South Australia, which gets more than 40 per cent of its power from renewables, consumers pay 50 per cent more for power than people in other states. But that’s the future for everyone if federal Labor has its way. Bill Shorten wants to boost renewable power from under 15 per cent now and 23 per cent in 2020 to more than 50 per cent in the next 14 years. That will require the construction of $50 billion worth of unnecessary wind turbines that you, the consumer, will have to fund. Ending any further mandatory increase in the use of renewables will mean a huge fight in the Senate, but at least the government will be on the side of lower power prices and more jobs, while Labor will be stuck on a dangerous limb with the Greens. Why should government force Australians to use more and more expensive and unreliable renewable power when we have some of the world’s biggest reserves of clean coal and natural gas? Why should higher prices be inflicted on households and employers when Australia should be the world’s affordable energy superpower? The government’s second move should be to bring in a budget that reduces spending as a percentage of GDP and reduces the deficit as a percentage of GDP every year. But it has to be based on realistic assumptions about growth, not the fantasy figures that Labor always used to forecast a surplus just beyond the horizon. This will mean a renewed focus on finding savings and requiring the states — which are mostly in better fiscal shape than the commonwealth — to resume more responsibility for public schools and public hospitals. It’s never easy to find savings, as Joe Hockey and I discovered in 2014, but by far the best time for a tough budget is the first one after an election. Provided they’re responsibly funded, company tax cuts mean more investment and more jobs. Especially if Britain and Germany match Trump’s company tax cuts, as they’ve said they would, our announced cuts will be too little, too late. It would be so much better to bring in business boosting policies now, because we believe in them, than to be forced to do so in response to someone else. Australia is certainly not the only country with unnecessary costs on households and businesses that has been living beyond its means, but we’re more vulnerable than many others with high standards of living. Whether he succeeds or fails, Trump is likely to make us more exposed, so the sooner we do more to protect ourselves the better. Turnbull’s victim gives the victor another headache. Tony Abbott is correct in advising Prime Minister Turnbull that the Renewable Energy Target is without science. UNFCCC science based COP3 (COP21/22 are watered down ideas) there is no non-polluting renewable energy. Invited by UNFCCC 1996 to join a panel to prepare Kyoto Protocol I toured the world to meetings to develop protocols to lower temperature and mass CO2 build-up. The only non-polluting energy is stoichiometric hydrogen (Brown’s Gas H2O-Energy-H2O) Australian science. The hard science fact rejected by PM Turnbull, since COP3, and the following 20 years of CO2 build-up has altered global weather the density of CO2 build-up acts as a heat reflector). Unfortunately, PM Turnbull also rejected the trillion-dollar opportunity to lower CO2 to become soil, soil-carbon into the Australian anthropogenic desert-drought land. This would have rebuilt our rural industry backbone to replace manufacturing mining. *Vincin; Former Branch Secretary to Hon John Howard 95-99 showing him how to win greens PM-ship! *UN USG invited me 96-99 to join the panel that prepared science Kyoto Protocol. Travelled the globe to meetings side toured to desert/poverty regions. *2005-Invited Foreign Expert PRC Central Government advising 7 Ministers, 9 Governors, teach Law, Science, Agriculture, Forestry at Peking et al Universities. Leading in field physical growing soil soil-carbon food fodder forestry funded by UNFCCC CO3 offset trading to UNFCCC 100year rule! PRC 2020 lower8Bn T CO2 pa.
*Recipient Genghis Kahn Peace medal 2008 teaching growing soil roof of the world. *October 2016 Invited by Global Energy Award Foundation to submit to 2017 award! A number of the posts we have coming up specifically relate to the theme ‘Do No Harm’. Do no harm to the environment and its inhabitants, human or not. We kick off with yesterday’s piece, excellent as always, from STT under the title ‘ Former Australian PM Tony Abbott Calls for a Moratorium on Wind Power Subsidies’. It includes Tony Abbott’s equally excellent warning that Australia needs to wake its ideas up in light of the impending Trump inauguration and its possible consequences. He’s really saying Australia could be caught napping if the Turnbull government doesn’t shape up. Although he’s talking tax reform, he moves on to renewables and it’s there that he could be talking about anywhere. Step forward, the UK and listen up, particularly the Scottish Government. Pin back your lugs (that’s ears in our language). Which brings us on to refer to today’s STT piece, on the tremendous cost to Britain, which we will do as a separate DO NO HARM post. Well said Tony, makes sense to me. I am unable to understand why seemingly sane adults can believe the fairy story of climate change. This is a natural phenomena which occurs on an regular basis.